Whiskey has a delicious taste that blends well with many mixers. Many popular cocktails are made with whiskey. These cocktails are among the most popular of whiskey cocktails. Give these six whiskey cocktail recipes a try the next time you want a drink. 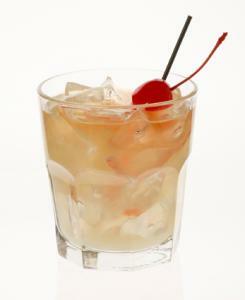 With sweet and sour notes, a whisky sour is a lovely balance between the whiskey, lemon juice, and sugar. 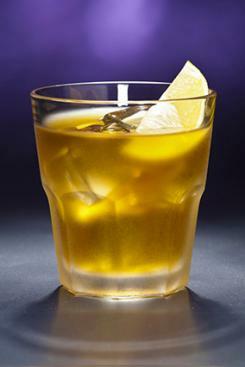 Whiskey sours have been around since the late 1800s, and people enjoy the balance of sweet and sour with strong whiskey. Combine the whiskey, lemon juice, simple syrup, and ice in an old fashioned glass and stir to combine. 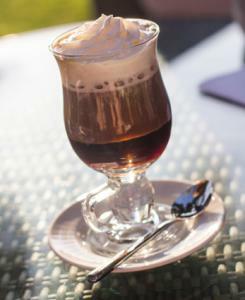 Irish coffee is a great hot drink that is particularly popular on cold winter days. Brown sugar and heavy cream blended with coffee and Irish whiskey give the drink a taste like warmed Irish cream liqueur with coffee. Pour the coffee in a mug and add the brown sugar. Stir until the sugar dissolves. Pour in the whiskey and stir. Top with the slightly whipped cream. 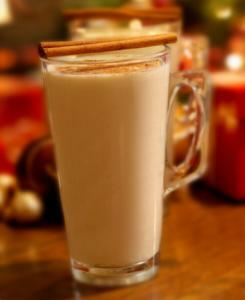 The Tom and Jerry is another hot whiskey drink that tastes like creamy, warm, boozy egg nog. Its creamy sweet flavors make it a very popular cocktail, especially in the winter. You can make your own Tom and Jerry batter, or buy a pre-made mix at the store. In a large bowl, beat the egg whites until they form stiff peaks. Fold in 1/2 cup of the sugar. In another bowl, whisk together the egg yolks. Fold them into the egg white. Add the remaining 3/4 cup of sugar and vanilla. Refrigerate, covered, until you are ready to make the drink. It will last for up to one week. To make the drink, heat one cup of milk until it is warm. Put it in a mug and stir in one jigger of whiskey and three tablespoons of the refrigerated mix. Top each drink with fresh grated nutmeg. Manhattan cocktails have gained a reputation for sophistication, so many people enjoy drinking them because they have the same cachet as a martini. Manahttans are lightly sweet from the sweet Vermouth, with the warming taste of good whiskey and a dash of bitters. Fill a short glass 3/4 full with crushed ice. Add the vermouth, whiskey, and bitters. Stir. This is a light, refreshing whiskey drink that owes its fizzy lightness to the addition of 7-Up (although you can use any other lemon-lime beverage you wish). The name, Seven and Seven, refers to 7-Up and Seagram's 7 Crown Whiskey (although you can use any other Canadian whiskey), which are its only two ingredients. The light refreshing nature of the drink, as well as how easy it is to make, allows the Seven and Seven to remain a popular cocktail. Fill a collins glass half full with crushed ice. Add the whiskey. Fill the glass with the lemon-lime soda. The rusty nail is most commonly made with a blended Scotch whiskey, however you may use a single malt Scotch if you prefer. Drambuie is a flavored Scotch-based liquor, so experiment with using more or less to vary your rusty nail to have the perfect mix. 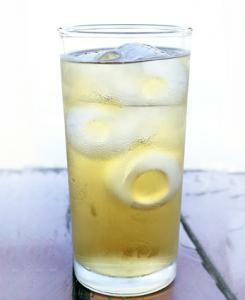 Add ice, Scotch, and Drambuie to a highball glass and stir well. If those five cocktails don't suit your tastes, consider mixing up another popular whiskey cocktail. The Old Fashioned has sugar, citrus, bitters, and whiskey. The sweetness blends beautifully with the bourbon while the orange draws out citrus notes in the drink. People really enjoy the balance of flavors in this drink, which was popular in the 60s and is gaining in popularity again. Best, an Old Fashioned is super easy to make. Mint juleps are sweet with a strong mint flavor. They work best with bourbon, which adds a strong flavor that blends well with the sweetness and mint. Mint Juleps are particularly popular in the South, and they are a common drink served at the Kentucky Derby. 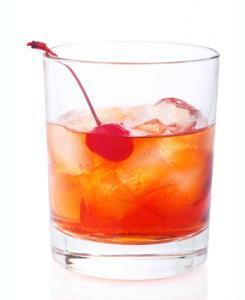 A bartender at the Waldorf Astoria created the Rob Roy back in the 1890s. Since then, the drink has retained its popularity because of its warming properties and its dry flavors. If you like Scotch, you'll love the Rob Roy. Created in New Orleans, the Sazerac has a nice sweet flavor balanced by bitters, lemon, simple syrup, and herbal liqueur. All the different flavors create a lovely balance and a nice sweetness. People enjoy the combination of herbal and citrus flavors with warm rye or bourbon. These are just a few of the very many whiskey cocktails you can make. With the warm and complex flavor profile of whiskey, combining it with the right mixers creates delicious drinks for all seasons.